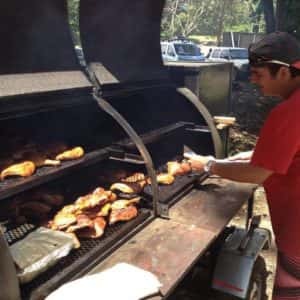 When it comes to the hunt for perfect BBQ, it’s not easy to choose between the “red oak” wood fire grilled flavor of Santa Maria, California barbecue that can be traced all the way back to the wild west days of the United States, or the delicious meats that you find the Tico grill masters grilling up in Costa Rica during BBQ season. Tico, by the way, is the word that Costa Ricans call themselves. Two distinct BBQ styles and while neither place is usually listed at the top of any of the competition BBQ lists you might find that mentions great places to try barbecue, you might be surprised at just how delicious the BBQ can be when it’s grilled just right. Let’s begin with the flavor packed western style BBQ that you can only find in California. California grill aficionados in the Santa Maria area of California in the Central Coast region love to grab their gloves and load their grills up with red oak, a wood that burns fast and hot and helps keep the meat tender and juicy throughout the duration of grill time. The grill used is usually a very large, flat grill that holds a great assortment of meats that have been spiced up with just the right portions of garlic powder, salt and pepper. It may not sound like many spices, but these blend together to make some tasty steaks and chicken. California BBQ includes not only your traditional steaks, burgers or chicken, but you can also find bacon wrapped chicken, grilled corn on the cob and much more. If you can cook it on a grill, you’re going to find it on the hot California grills all summer long. Now on to Costa Rica and the down-home island BBQ that the Tico grill masters can make that will make your mouth water from the smell alone. While many of the younger grill chefs enjoy grilling with the newer Weber kettle grills, the old timers are still using grills made from old tire rims or big steel drums that have been cut down to use for grilling season. The season begins in January after the new year and continues for a few months. These Tico grill masters use charcoal as well as wood to flame grill ribs, pork chops and steaks as well as sausage and plenty of vegetables. 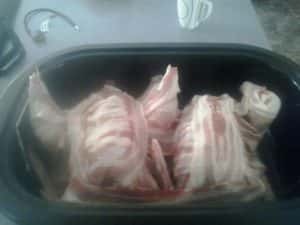 The meat is usually placed in a marinade for up to 24 hours that consists of lime zest, tomato juice, cilantro, red cayenne pepper, paprika and garlic cloves. The marinade leaves a slightly tangy flavor in the meats and when paired up with some homemade Pico de Gallo with fresh tomatoes, sweet peppers, onions, lemon and lime juice and pineapple and all wrapped up in a flour tortilla, it’s a great flavor combination and the perfect island BBQ. It’s not easy to choose which area has the best tasting BBQ since they each have their own distinctive taste but trying both types of BBQ is something that everyone needs to do at least once in their lifetime.